Lost Soulz is a masterfully designed pattern that will satisfy even the darkest WTP warrior in TWN’S ever-growing legion of processors. Deteriorating skulls drift in a silver and gray haze, while cryptic apparitions haunt the background. The graphic artist created this design by painstakingly sketching and then creating a 3-d model of the skull. This technique gave the pattern an incredible amount of depth and personality. There’s no doubt that Lost Soulz will be immensely popular with anyone bold and courageous enough to venture into the dark side. Lost Soulz was also designed to work with multiple base coat colors. This added flexibility gives processors the freedom to create a number of unique looks. 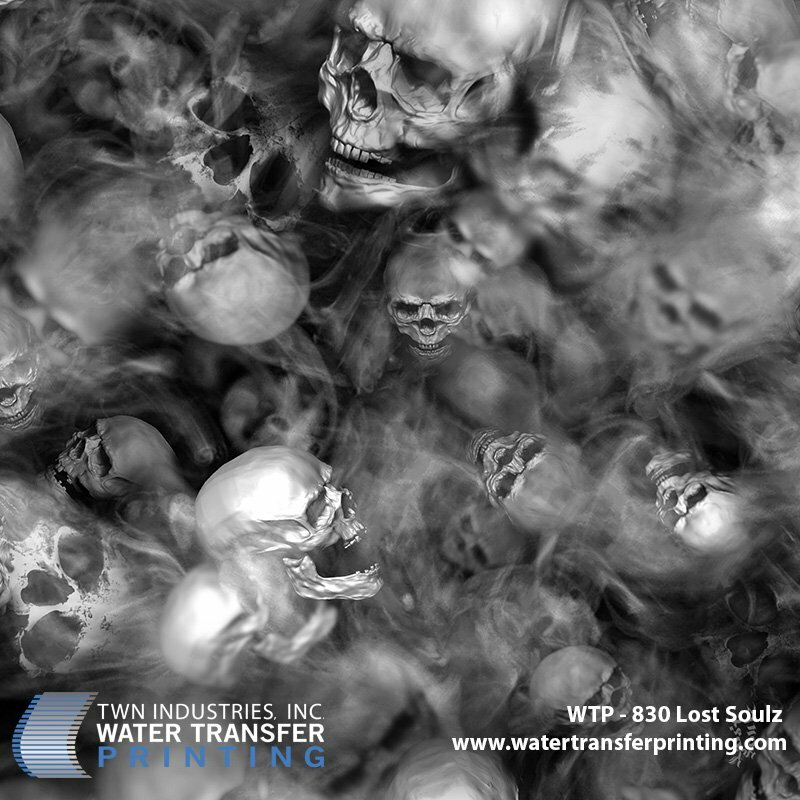 Lost Soulz water transfer printing film is available exclusively through TWN Industries, Inc. Call now to pre-book your order and film requirement. Shipments of Lost Soulz film will begin in mid-June. The part number for Lost Soulz is WTP-830. To purchase film, or to find a TWN Certified Decorator who can decorate products for you, call 305-258-9622.